Helium Desktop, previously known as Carbon Desktop, is the solution to carry out backups of the contents of your smartphone. 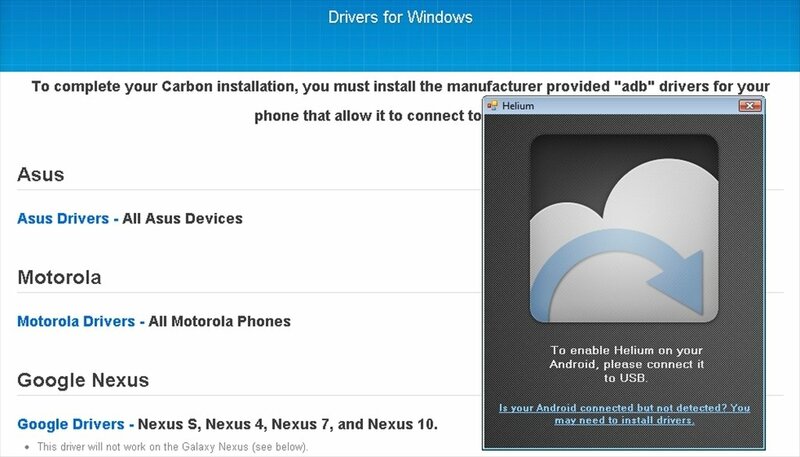 If you have an unrooted Android device, download Helium Desktop for free. Carry out backups of your Android. 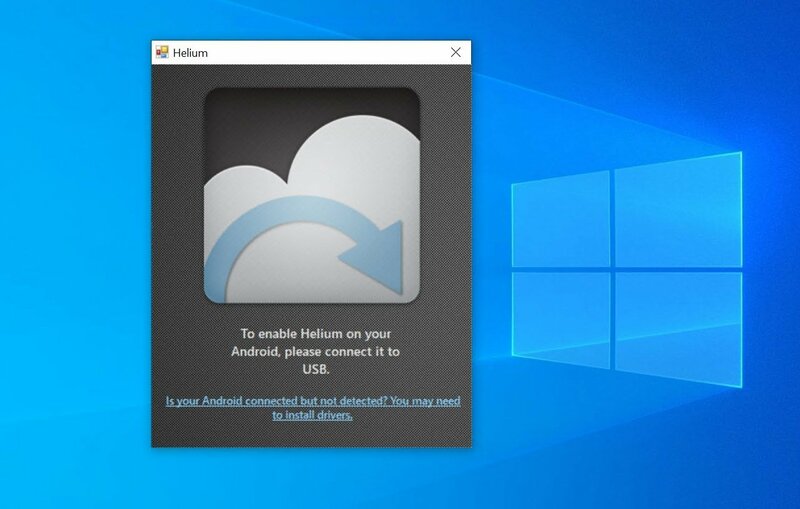 As a complement for Helium for Android, you'll need to install Helium Desktop on your PC. Thus, you'll be able to secure its contents so as to be available in the case of loss or malfunctioning of the device. How does Helium Desktop work? Install Helium Desktop on your PC. Install the mobile version of Helium on your Android. Connect your smartphone to your PC by USB. If it doesn't detect it, you have to install your phone's drivers. Open both applications and follow the instructions that appear on your Android's screen. You can now enable the functioning of Helium on your Android device to be able to create backups.